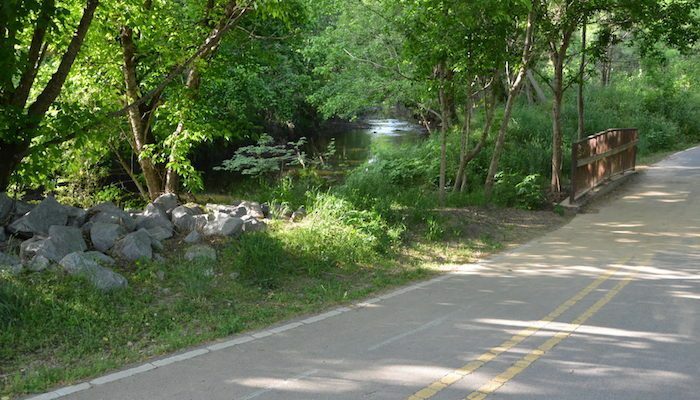 Located along Homewood’s Lakeshore Parkway, the Shades Creek Greenway — better known as the Lakeshore Trail — is a 2.5 mile (one way) paved multi-use path free from the hustle and bustle of Birmingham traffic. This green path runs throughout the lush floodplain of Shades Creek. In the west, the path begins off South Lakeshore Drive near the intersection with Green Springs Highway. From there, it runs past Samford University, crosses the creek, and ends at Brookwood Boulevard near Brookwood Baptist Medical center.